Introduce some variety to your swipe-lifestyle. Love 'em or hate 'em, dating apps are here to stay. Tinder has been ruling supreme for the past couple years — but now that pretty much everyone we know has at least a handful of horrible war stories, we're kinda ready to move on to something new. 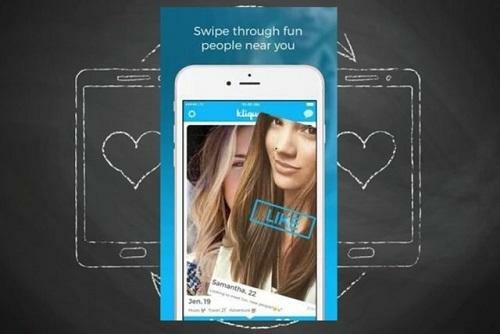 We did a little research and are loving these 8 dating apps (that aren't Tinder) right now. So Sweatt hasn't really taken off just yet — but we're really hoping it does, because we're totally in love with the concept. 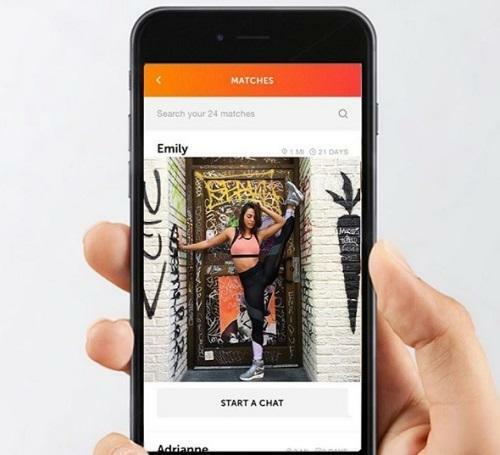 It's a dating app for people who like to stay fit, and you can match up with people based on what times you like to work out, what kind of exercise you prefer, and photos (of course). 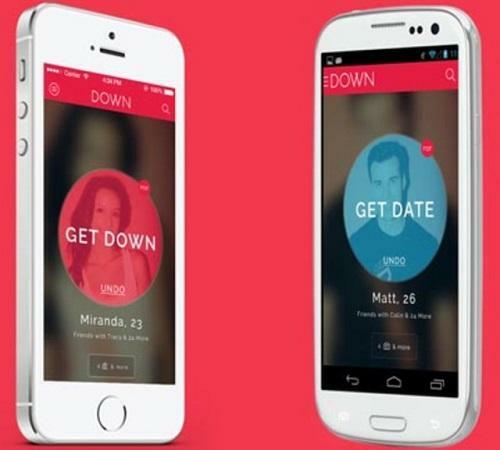 Considering most dating apps are all about alcohol and happy hour, Sweatt's take is quite refreshing. OK, so we know that in order to really click with a new partner you need to have at least a couple things in common — but isn't it more important to hate the same things instead of having a ton of common interests? 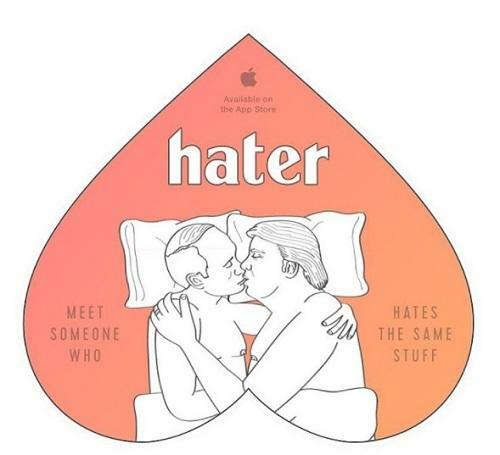 That's the concept behind the new app Hater. When you sign up, you'll be offered 3,000 hand-selected topics to weigh in on — including marijuana, build the wall, gluten-free and tipping less than 15 percent. But if you're a little off-put by the word hate, don't worry. CEO Brendan Alper says they want to users to bond over things they dislike, but actual hate is not something the site condones. "We view hate speech as completely unacceptable, we have zero tolerance for any sort of bigotry or hate speech or discrimination," he says. 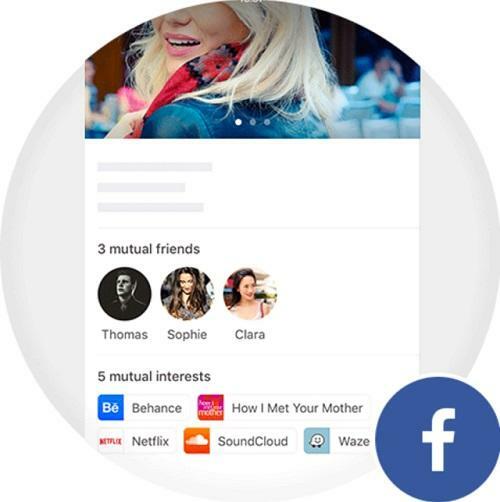 Klique used to be a group-date only experience, but they recently announced a new update that allows users to match individually, creating more opportunities to connect with and discover new people. You can match solo now, but you can also have the extra comfort and safety of creating a Klique group to make new connections with your friends by your side, so to speak. The app definitely seems to be aimed towards 20-somethings who are heavy into the party scene — which is kind of perfect, because you definitely need a wingman any time you meet someone for the first time in a club setting. 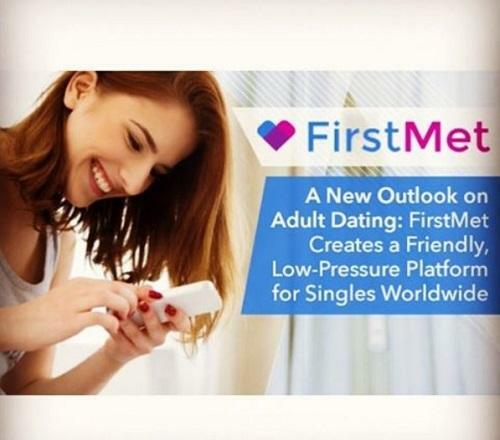 FirstMet (formerly Are You Interested) boasts a network of over 30 million users who are on the market. Those numbers are nothing to sneeze at — and we all know that the more users there are, the more our chances of hooking up with someone compatible skyrockets. The platform seems to attract a more mature dater, so if you are over fooling around with douchers, you might want to give FirstMet a try. Neqtr is an app for those who want to make a difference in the world — and meet like-minded people to share meaningful relationships with. The concept is totally relevant, because with you-know-who in office there's been more marches and rallies recently than there has been in decades — and surely fighting for social justice is even more fulfilling when you have a partner by your side. Down. As in DTF. Yes, it's totally crude, but at least you know what you're getting into when you sign up. This one seems like it's for those who just want to get in, get out, and get on their way with no pretense. Happn is GPS-based, and the whole idea is to connect you with someone you probably have already crossed paths with (or happened upon, if you will) on campus, in a park, or just walking down the street. It's kind of like a cross between Tinder and Cragslist's "Missed Connections." It a cool concept, but can also open you up to some creeprs — exercise caution while Happn-ing.